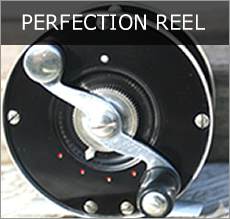 Godfrey Classic Reels Continue the long Tradition of Elegant Hand Made Reels enhanced with Modern Functionality and Durability. 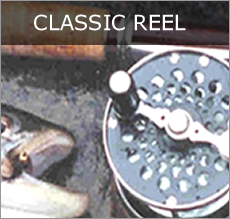 The Godfrey Perfection, Classic, and Westminster Trout Reels are hallmark Godfrey Reels. 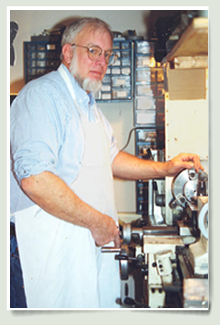 The designs express turn-of-the-century classic motif with added modern functionality. The Heritage Series Reels are elegant renderings of the famous vom Hofe and Leonard lineage, but feature improved design. 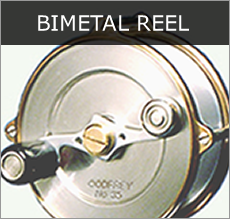 These are premium class reels that belong on the finest cane rods. 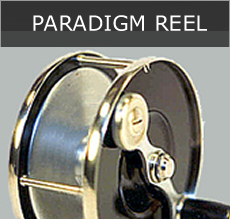 The Mastery Series Trout, Salmon and Steelhead Reels feature an adjustable, super smooth Custom Drum Drag System. 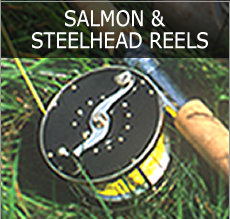 The first salmon reels were introduced in 1984, and have since gained a a fabulous reputation on the rivers of the world.